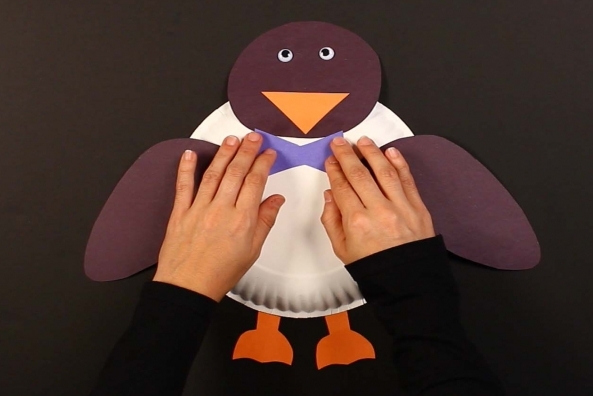 With just four different materials and a couple tools you can create an adorable little friend. 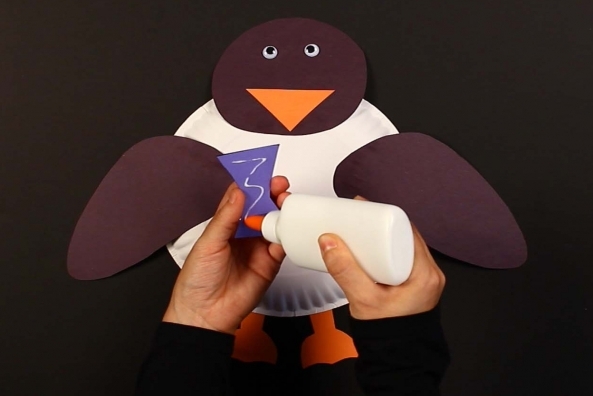 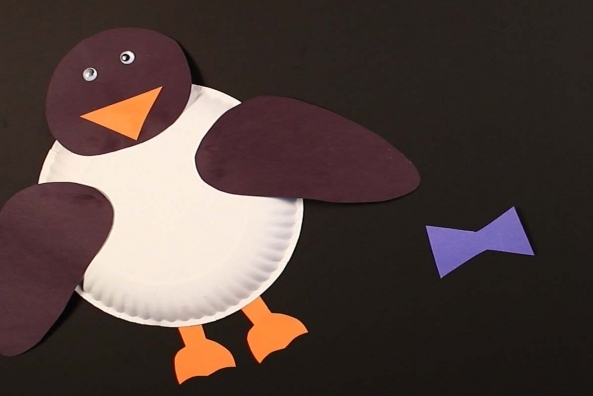 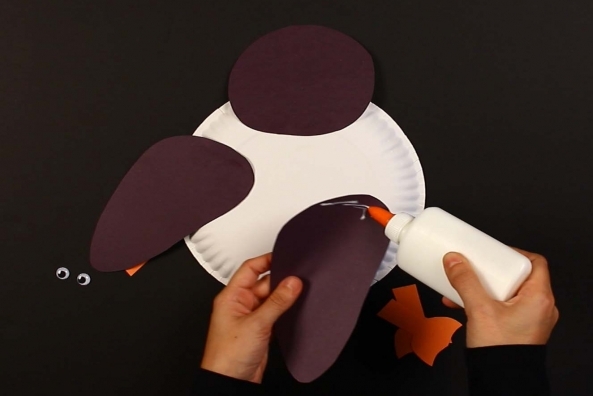 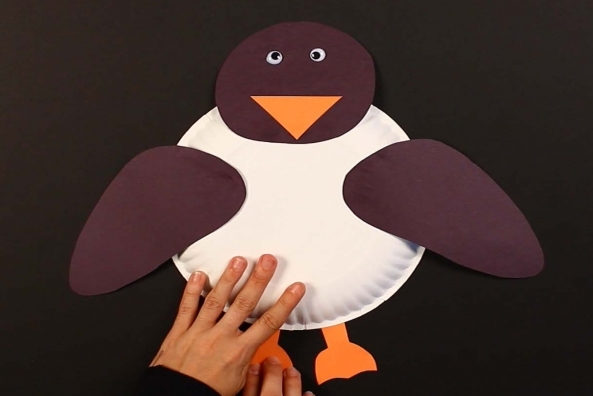 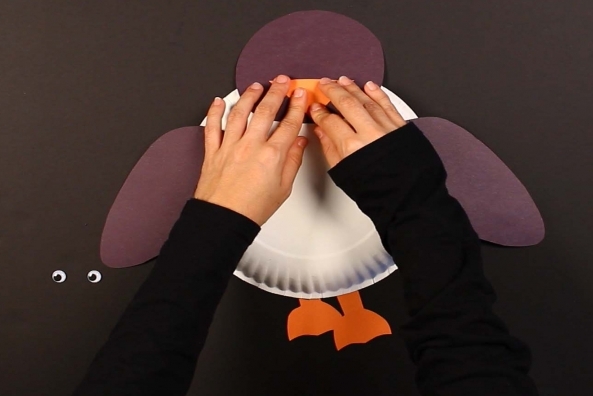 Let this penguin craft waddle into your heart! 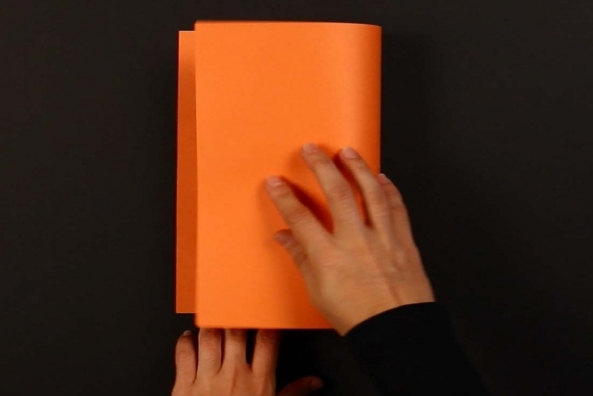 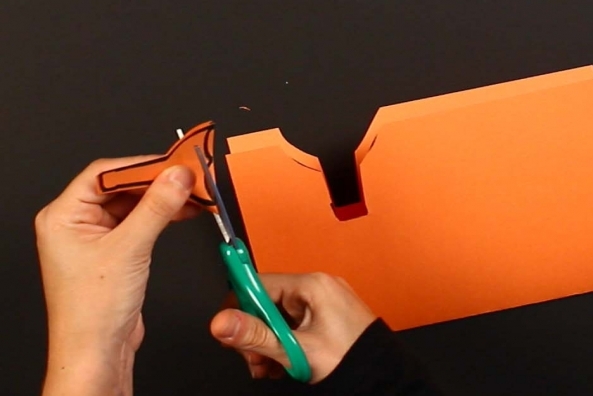 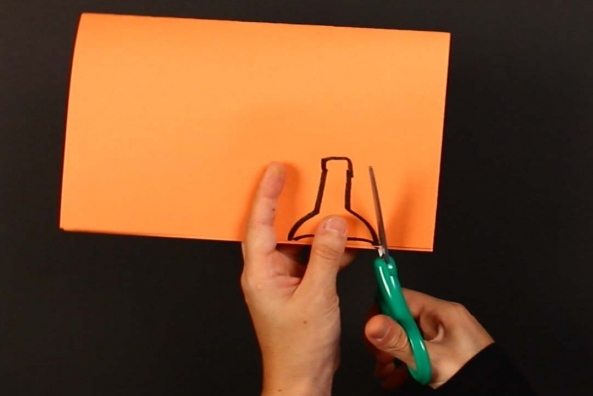 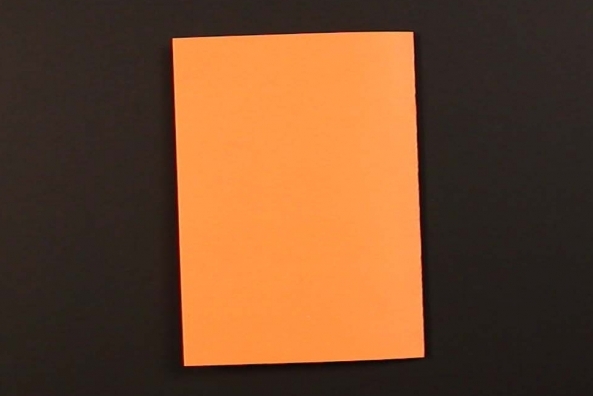 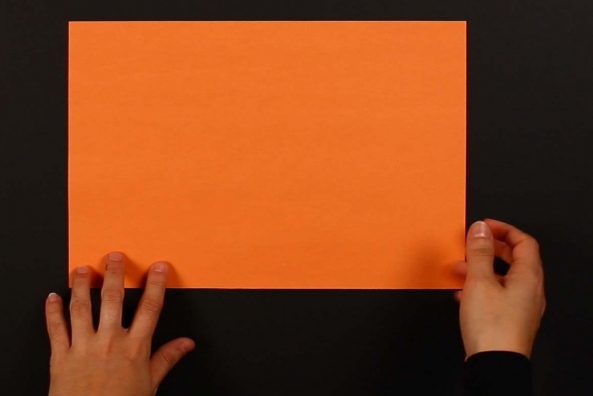 Fold a piece of orange construction paper in half. 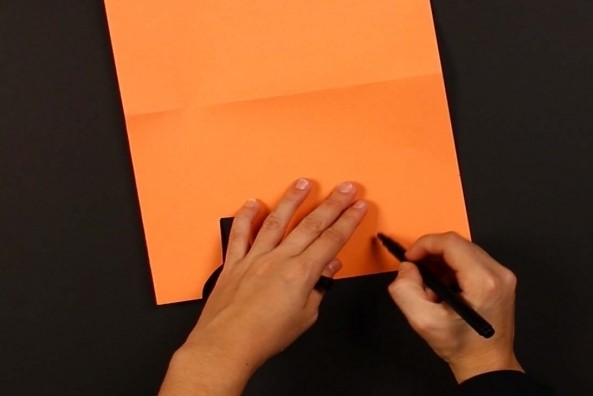 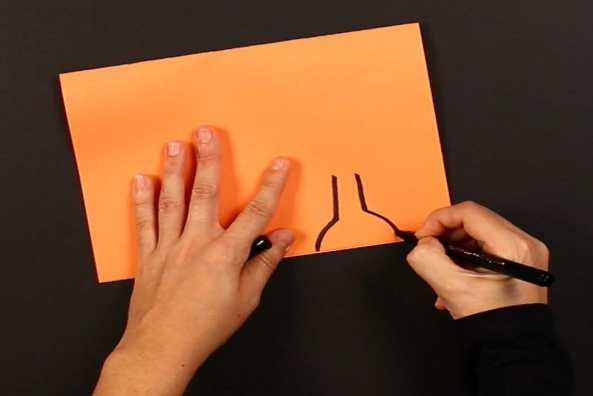 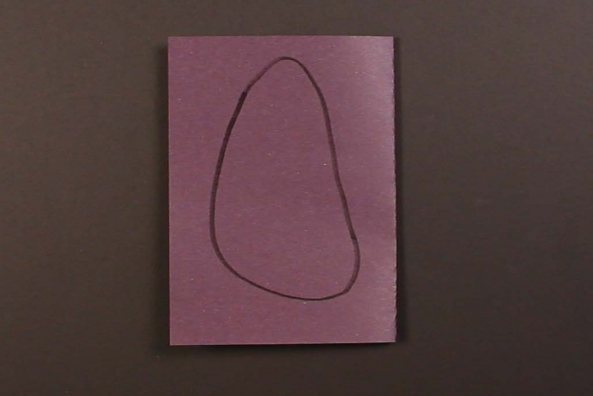 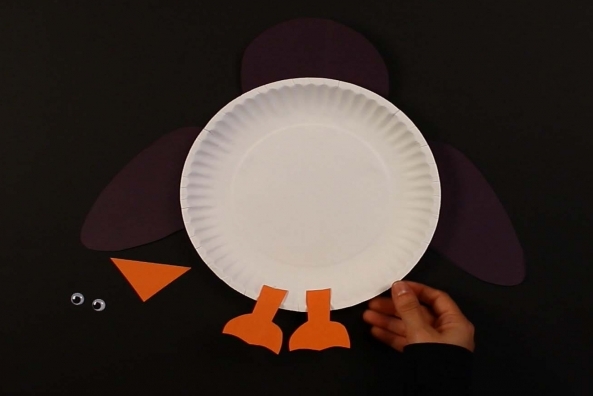 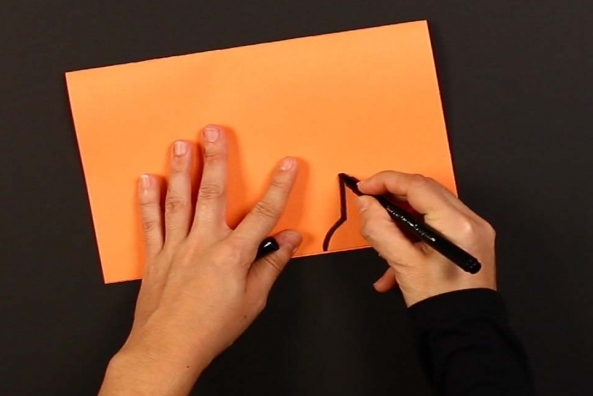 Draw a penguin foot on one side of the orange construction paper. 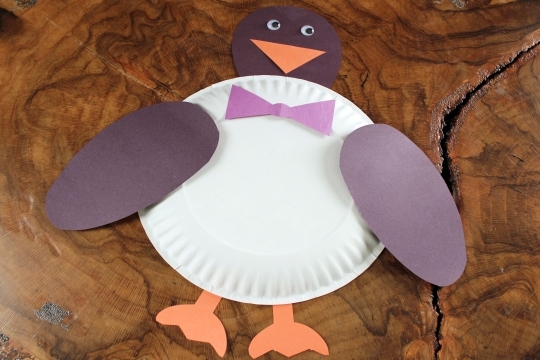 Cut out the penguin foot. 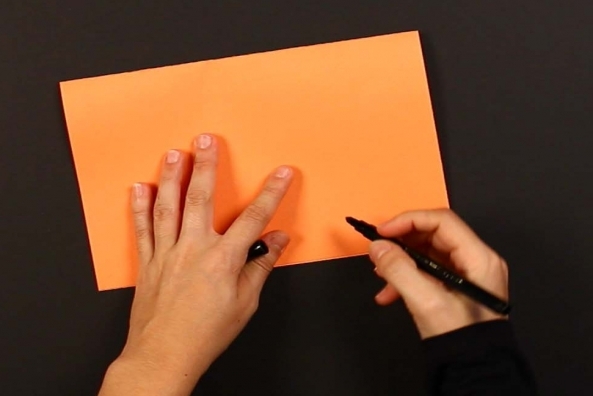 Since the paper is folded you should end up with two feet. 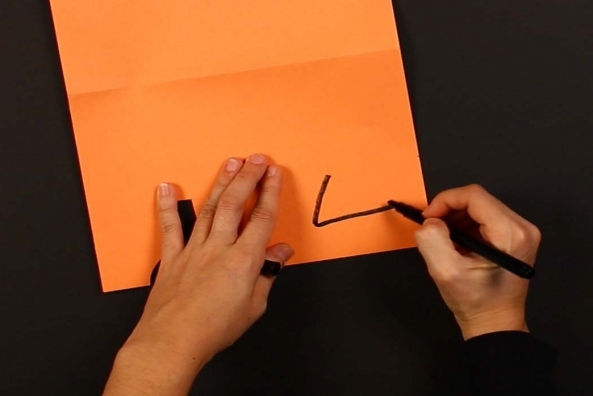 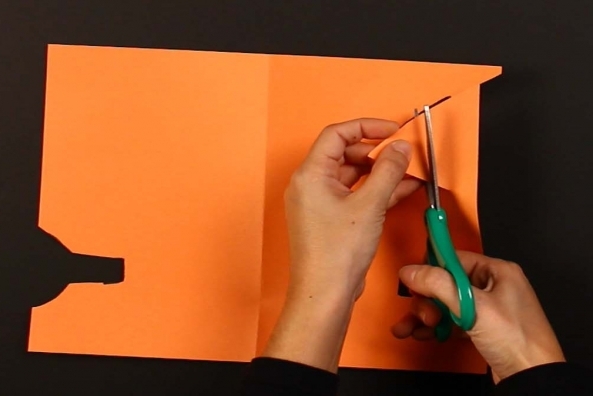 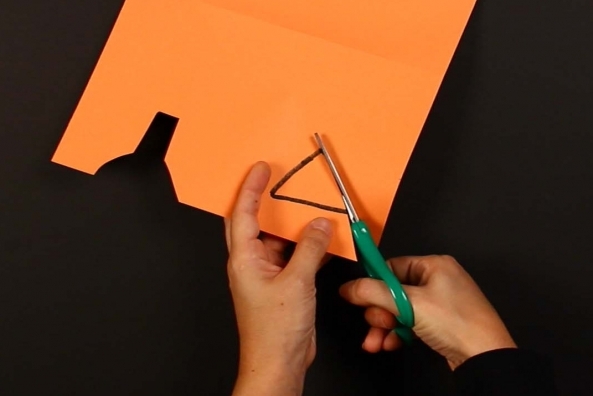 Draw a triangle on the scrap orange construction paper. 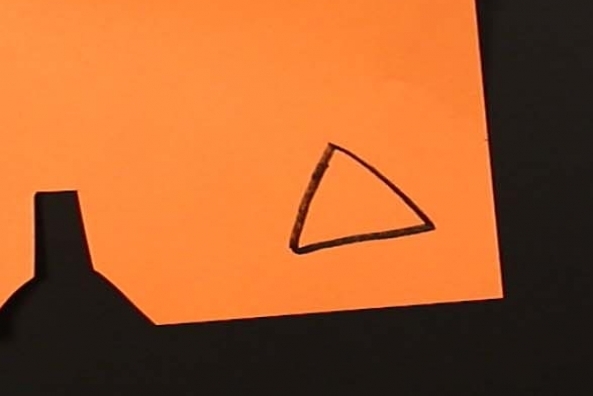 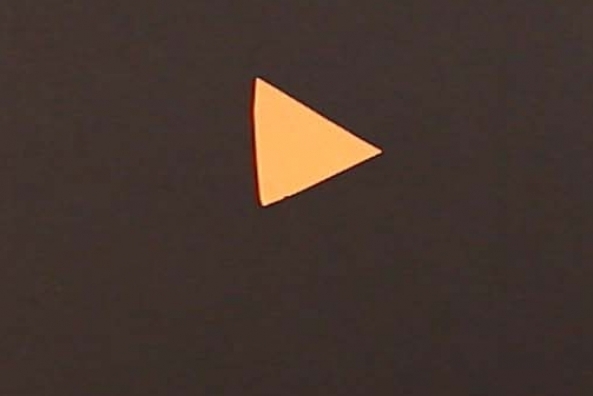 Cut out the triangle from the orange construction paper. 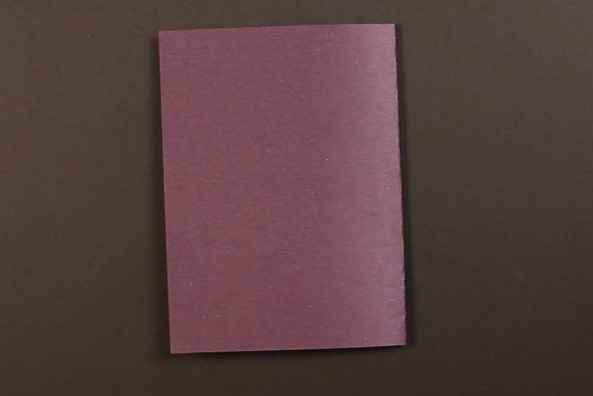 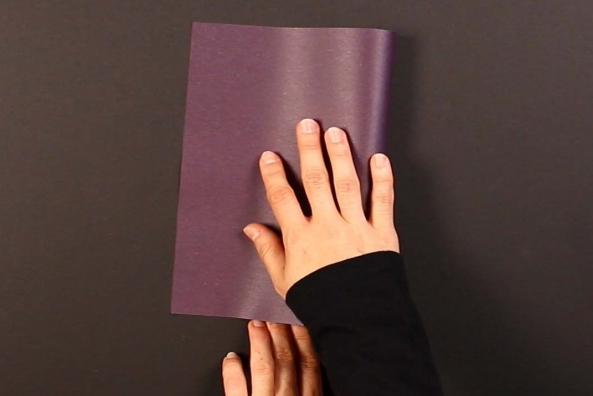 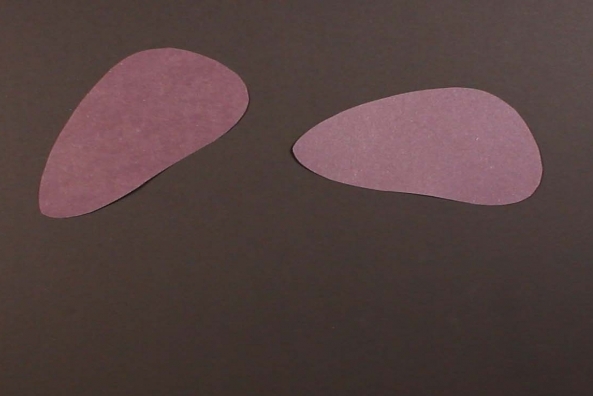 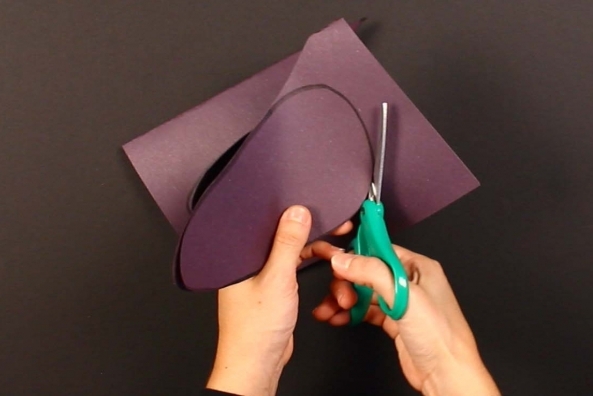 Fold a piece of black construction paper in half. 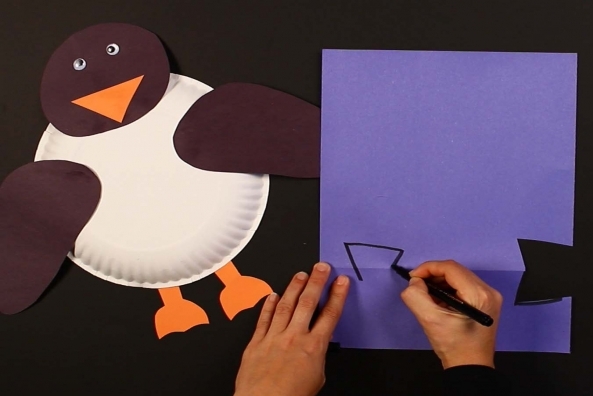 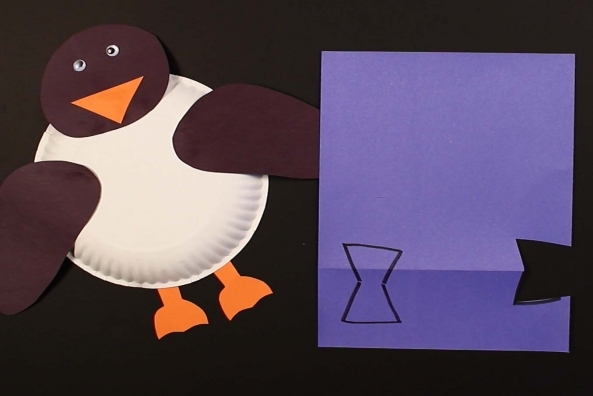 Draw a penguin wing on one side of the black construction paper. 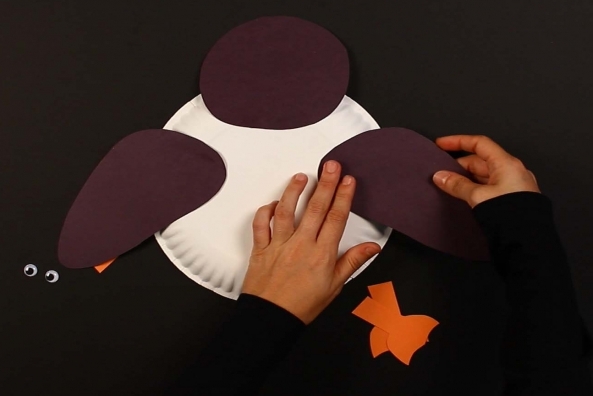 Cut out the penguin wing. 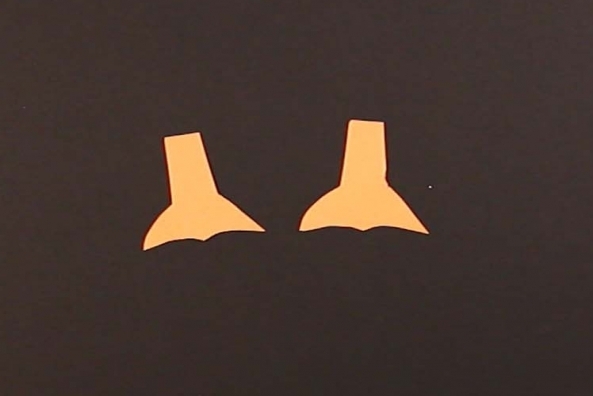 Since the paper is folded you should end up with two wings. 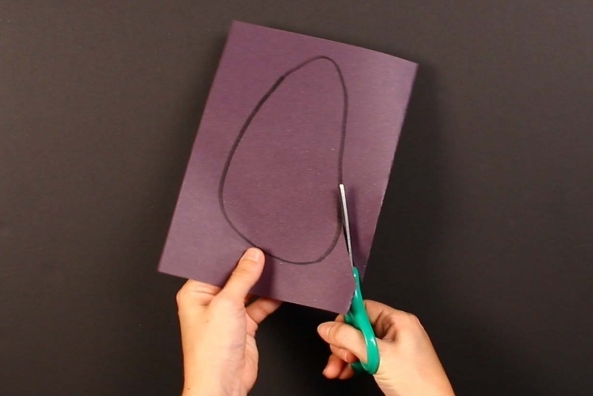 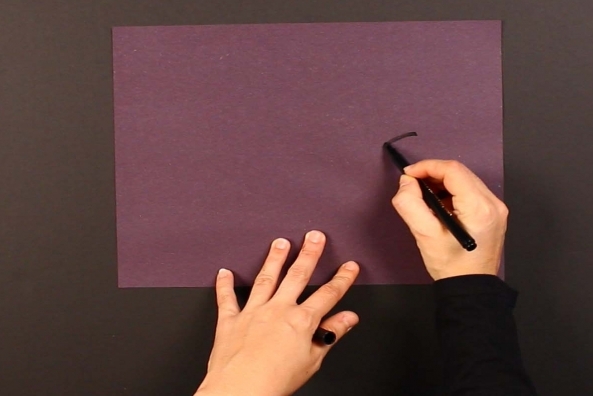 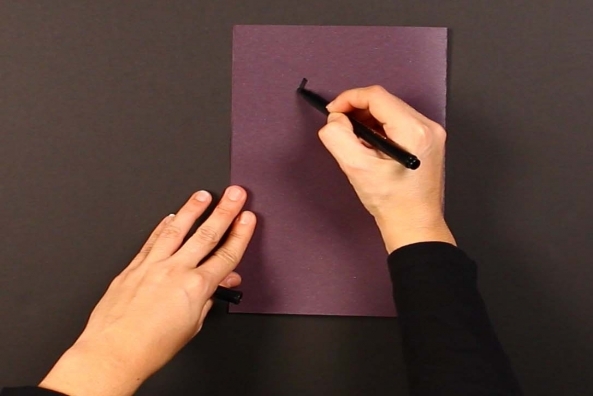 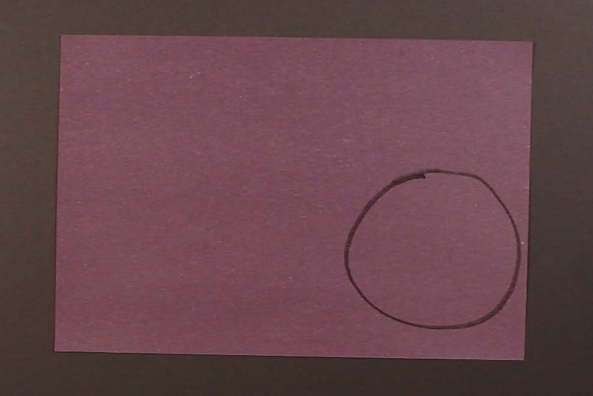 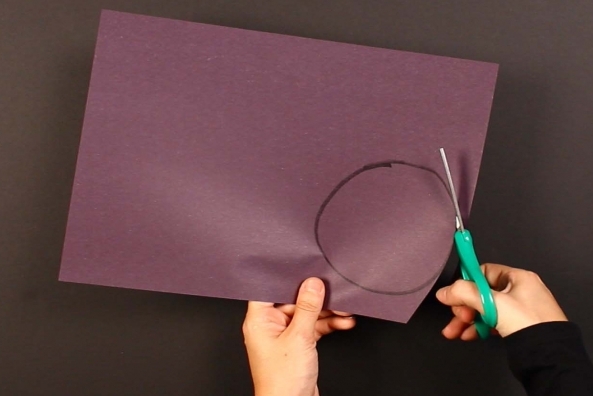 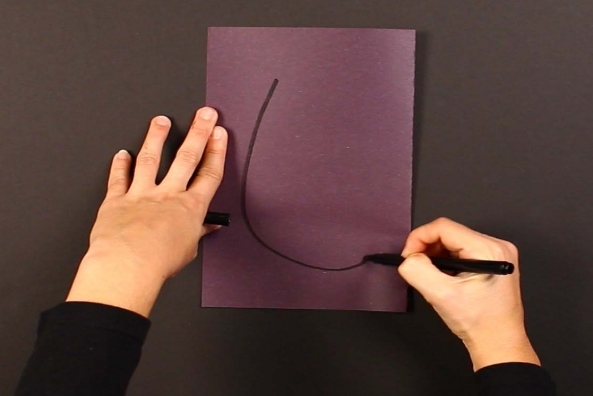 Draw a circle on the scrap black construction paper. 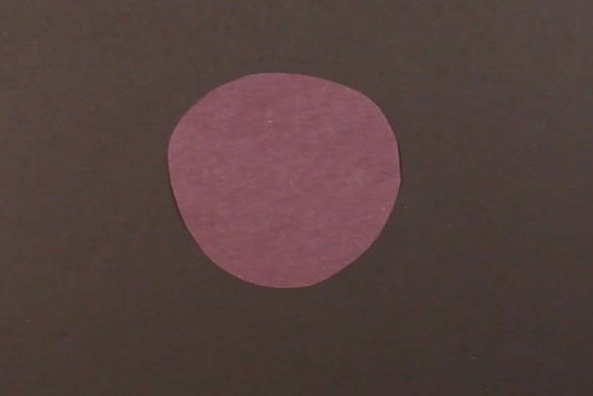 Cut out the circle from the black construction paper. 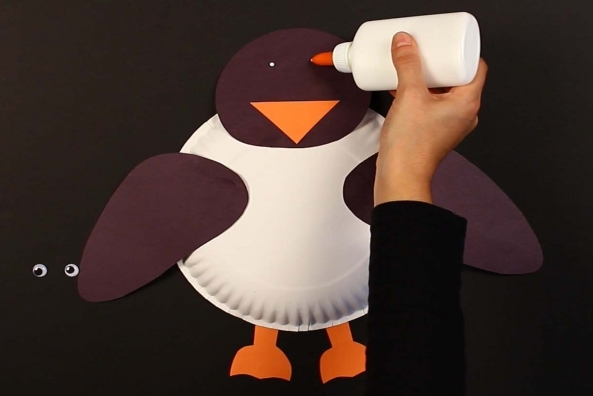 This is your penguin's head! 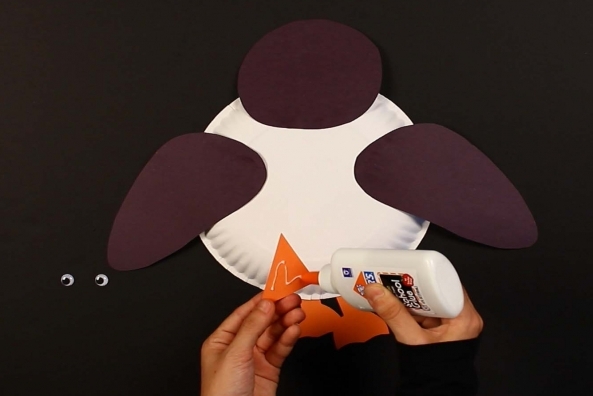 Glue a wing on either side of the head. 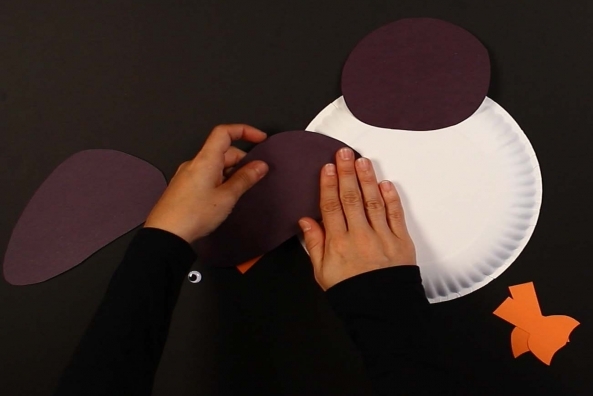 Glue the two orange feet on the bottom of the plate. 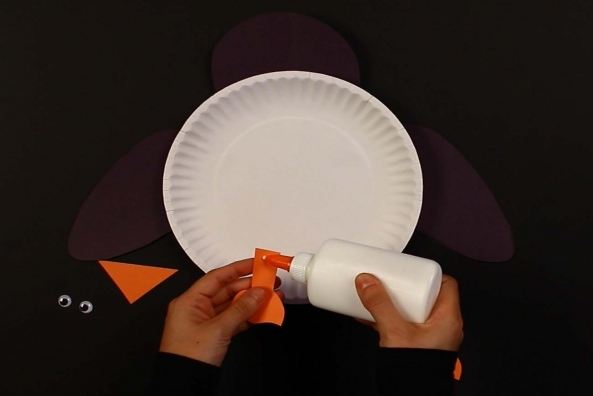 Glue the orange triangle in the center of the head. 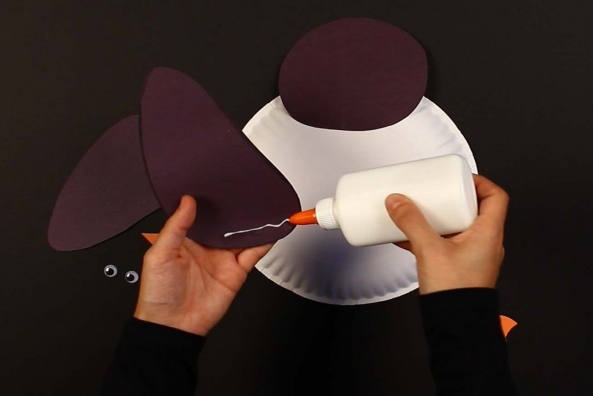 Glue two wiggly eyes above the triangle on the head. 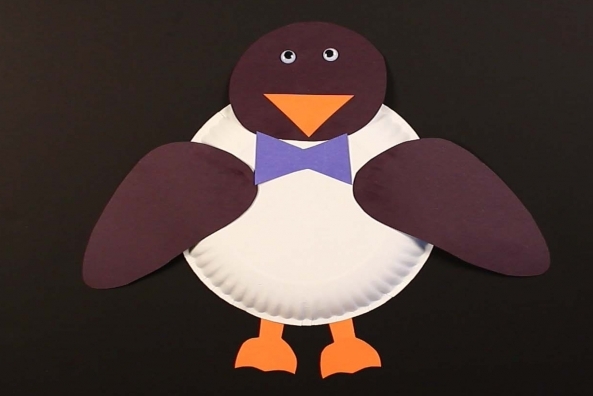 Add a bow tie to make your penguin look extra cute with markers or a colored piece of construction paper!